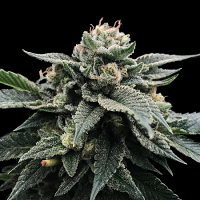 The Electric Watermelon is a strain that we have coveted for the last 10 years while deciding on the optimal breeding partner. 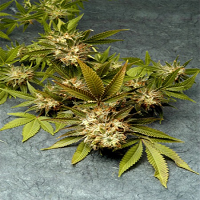 Mothertongue Regular Cannabis Seeds by TGA Seeds: The Electric Watermelon is a strain that we have coveted for the last 10 years while deciding on the optimal breeding partner. 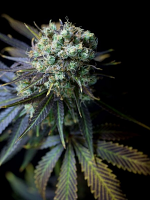 She is a very hearty OG with an intensely sweet aroma. 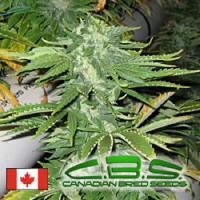 The yield is impressive as is the early calax production and frosty resin throughout the entire plant. The large, dense nuggets are evenly spaced amid the branches. Amazing orangey-red leaves shade this beauty. The sugar production is epic! 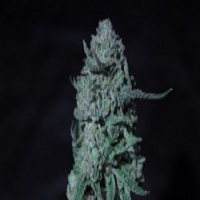 Phenotypes: There are a range of phenos, mostly with some easily tameable stretch to them. Flavor profiles range from fruity to hints of spice with potent, sweet overtones. This is a great daytime high! 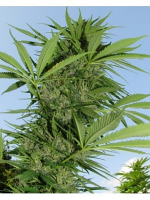 Best way to grow: Heavy topping early in growth cycle to prevent stretching and to encourage larger bud production. 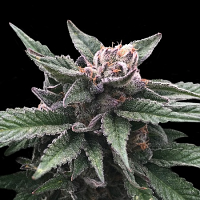 Harvest: 56 to 60 days Extreme skunky smell appears in the later part of growth cycle. Taste/Aroma: A wide variety of flavor profiles ranging from robust berry and pungent melon overtones, to spiced cider and or slight green coffee bean notes with a pervasive sweet citrus after taste leaves wanting more!